Welcome back to another December (it's not your first, is it?) and to another edition of our official forum about video games. Go on and talk about games all you want in the comments below. But! Before you do, cast your eyes again at our lovely December art. 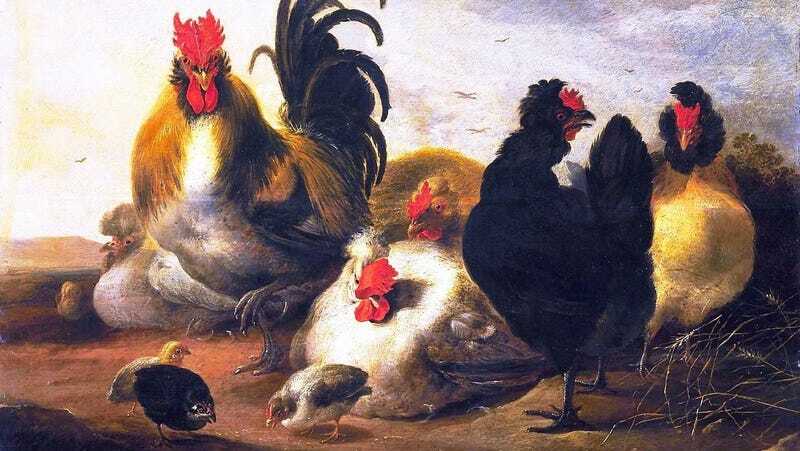 It is called "Hens and Rooster" and was painted in the 17th century by Aelbert Cuyp. Kotaku reader Skywizard: The True Creator suggested it. The painting is full of potential—potential for you to do your best Photoshop work on it and turn it into something funny and video-game related. Please do your best—or your worst—and submit your own riffs on our December image to our #TAYpics thread. Just remember to keep your image in a 16x9 ratio and you just might see it featured atop a future installment of Talk Amongst Yourselves. Grab the base image in my reply here.